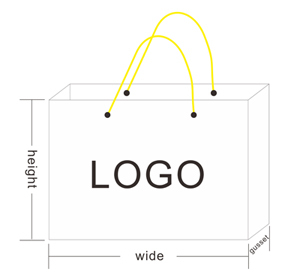 size of bag: the size of the bag will be customized with customer's requirement , according to the measure of the products that need to be packed or carried.please Indicate the wide ,height, gusset as the picture shows. 80-150gsm non-woven fabric,various color can be choosed from our catalogue. also customer can customize his own color. 2. if you need a customized sample before mass production, we will quote a price of the sample order. Normally cost US$50-100, Sample will take 3-7 days.